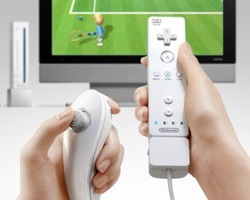 Some of you may have heard of the recent response to the Wii, the latest console gaming system released by Nintendo. The controller is giving people what is now affectionately termed "Wii Elbow", and the gaming has been determined to be quite a workout. Some people have even been injured! Nintendo did place proper warnings on games and many activities even include occasional reminders to take a break built into the product. The Wall Street Journal has interviewed several individuals and published an article on it titled "A Wii Workout: When Video Games Hurt." What some of you may not know is that Ryan Mercer, quoted in their article is a Mason, and a member of Speedway, IN #729 F&AM. Congratulations to Brother Ryan for becoming famous, and lets all hope his new video game workout program benefits him with good health. I have created a smattering of Masonic clip art logos that some of you Brethren may find useful. They are available in Flash 8 format as vectors that can be exported smoothly at whatever size is required, and also in 200 pixel wide PNG format with white backgrounds, and 800 pixel wide transparent GIF format suitable for printing. Why did I make these? Well, I'm fed up with all of the ugly Masonic emblems floating around on the Internet. 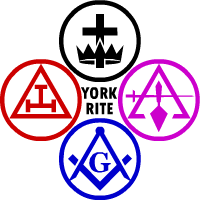 Most of the York Rite emblems, similar to the one seen here, are composed of four different styles of graphic that have been pasted together. Often times, the graphics have been scaled without resampling or anti-aliasing, leaving a choppy and jagged edge, and sometimes a graphic with an extraneous square border has been inserted into the circle, creating a circle within a square within a circle, where only a circle should exist. Also, people tend to skew the Square to an aspect ratio other than 90 degrees to fit it where they please. Masonry in the 19th century was beautifully illustrated with excellent craftsmanship, and I believe our modern Freemasonry should also be illustrated with good craftsmanship - in a clean, appealing manner - as it is presented on the web and through other modern technologies. There is no longer an excuse for using sloppy, low resolution scanned images on Masonic websites. If you can't find what you need here, just ask me and I'll try to come up with the Masonic emblem that you need. With the help of my wife, I have started a project to make a Virtual "Lodge Tour" on the web. 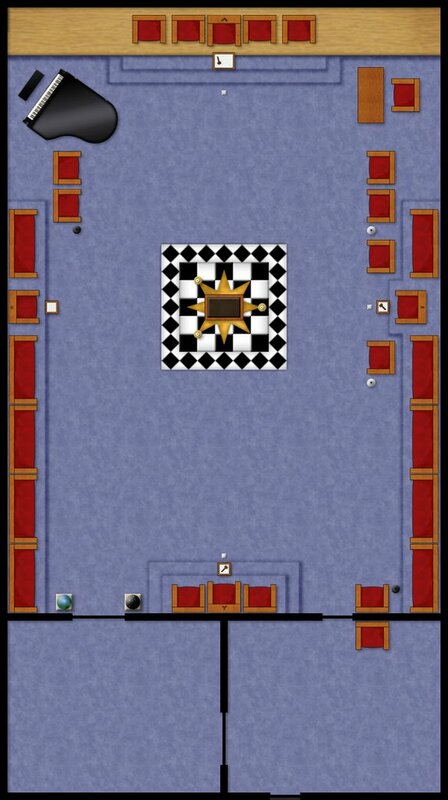 I know this sort of thing has been done before, but I'm trying to think in more ambitious terms... As a web developer with some skill at doing interactive interfaces, I am planning to make a Lodge room that can be manipulated and explored on the web that will serve to acquaint a person with Freemasonry as well as its various appendant organizations. I plan on making the furniture re-arrangeable to make it possible to represent variations between jurisdictions: for example, we are even designing a triangle 3-candle stand since some jurisdictions place all three of the tapers together. Well, what do y'all think? A worthwhile endeavor? I'm a bit concerned that the Internet today isn't reflecting the Masonic reality. Why? There is a disproportionate amount of what Timothy Bonney at Freemasonry Resources calls Fake Masonry, in fact, it feels to me that the Masonic blogosphere is about 30% of this flavor and 70% Recognized Masonry, when in reality the number of recognized Freemasons in the english speaking countries probably dwarfs the others at around 99%. If you were only going by Grand Lodges in the US alone, there are approximately 70 recognized Grand Lodges (counting Prince Hall) that are highly active and no more than 4 (and I'm being generous) unrecognized Grand Lodges that are also very active. That's still 95% recognized. The Internet gives voice to whoever writes on it. Google does not discriminate. KingSolomonsLodge.org has chosen to discriminate ONLY on informational content and not on recognition in order to avoid politics and verifying recognition and authorship at the listed blogs. Yahoo!, MSN, blogspot, Wordpress, etc... They do not discriminate. And this means that whoever yells the loudest looks the biggest. 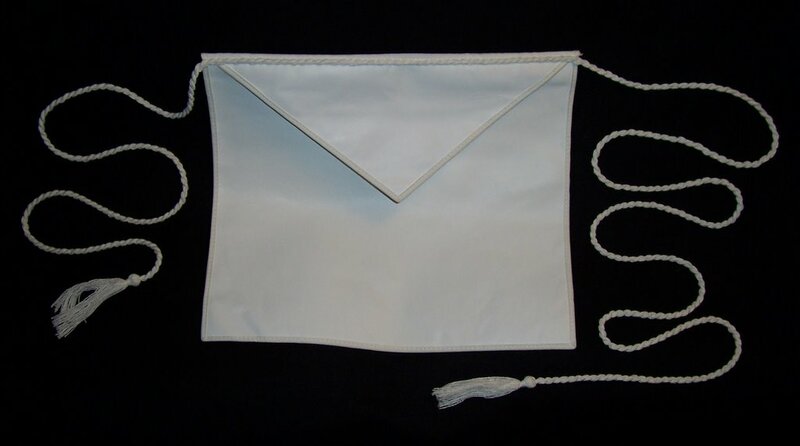 Well, I'm calling for Recognized Masons to Yell Louder! There are probably many Masons out there who would actually be very great at running their own blog and sharing their thoughts and insights into Masonic education. I am not trying to declare a war on unrecognized Masonry, I am simply asking that those of you who are able to, please blog about YOUR Masonry, so that the statistics will begin to come back into the balance and accurately reflect the real world. 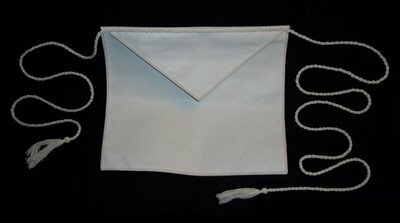 I will gladly assist any Masons who wish to begin an adventure in blogging to get started, just contact me by email or comment and I will do whatever I can to assist. Lets spread the light of Ancient Craft Masonry - please do not take this as a message to bash on clandestine or unrecognized groups - that is FAR from my point, but rather demonstrate that genuine recognized Masonry is alive and well. At 95% we would take our rightful place as the defacto Internet voices of the craftsmen, and the other 5% would still be able to speak but their audience would be more deliberate instead of people generally seeking Masonic information. We need more Masonic bloggers! Note: I hold a certain amount of respect for those who are participating in some of those groups that are currently unrecognized. It must take some guts to take such a leap of faith, and I trust that the majority of them are decent men. However, on both sides of the fence some of the individuals and groups are lacking in judgment and are bringing discredit to the good name of the Fraternity. I value personal integrity very highly, and as such, I recommend that all Masons live up to every aspect of their Masonic obligations to the fullest extent possible. If everyone would do this, we would not even have this issue to begin with!